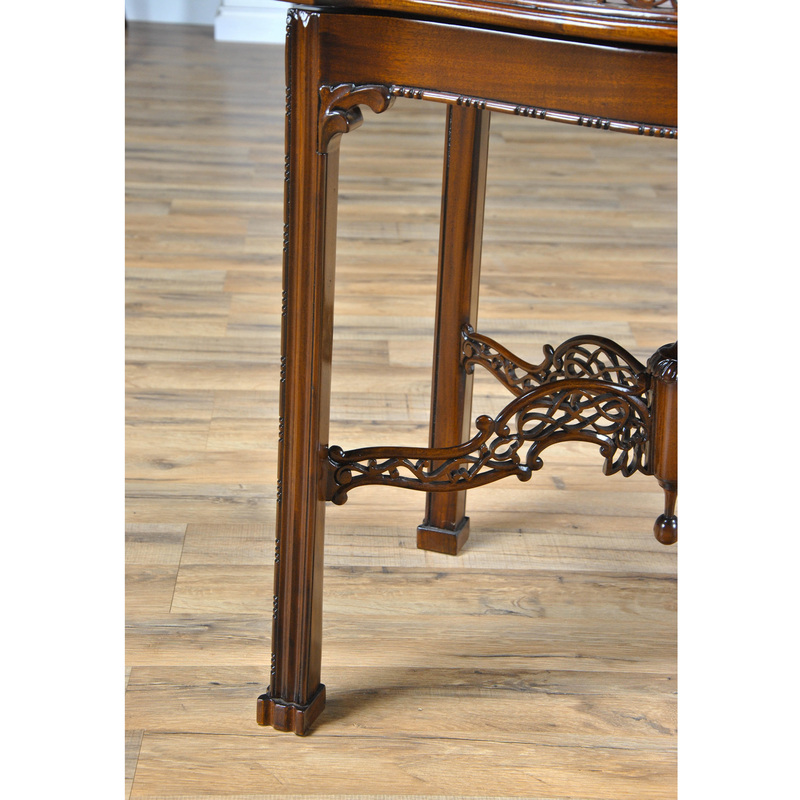 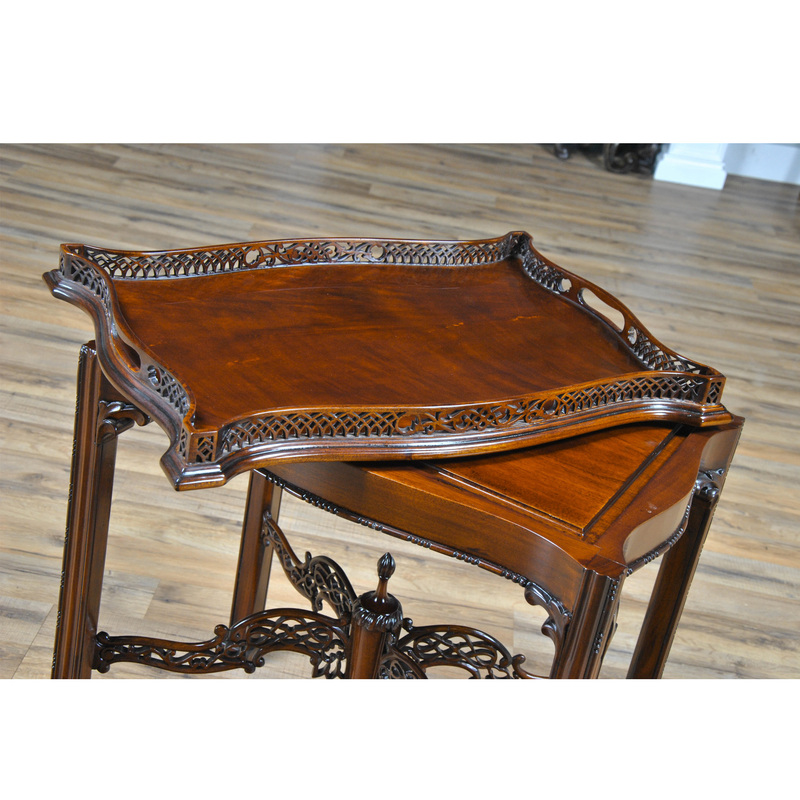 The Niagara Furniture Mahogany Tray Top Table. 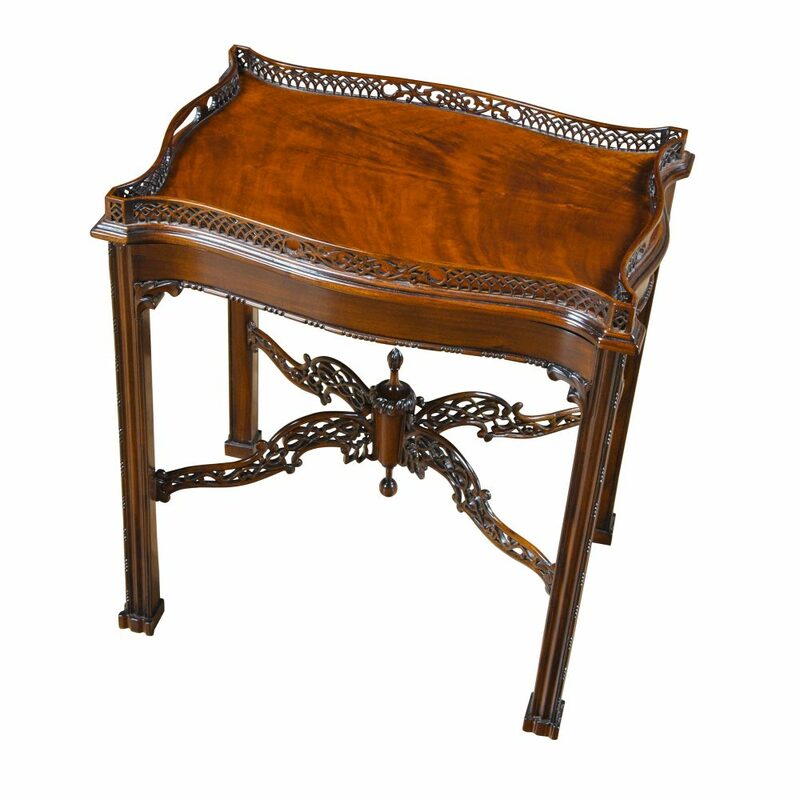 Antique items of similar quality can be found in prestigious collection such as the Philadelphia Museum of Art. 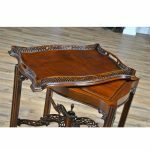 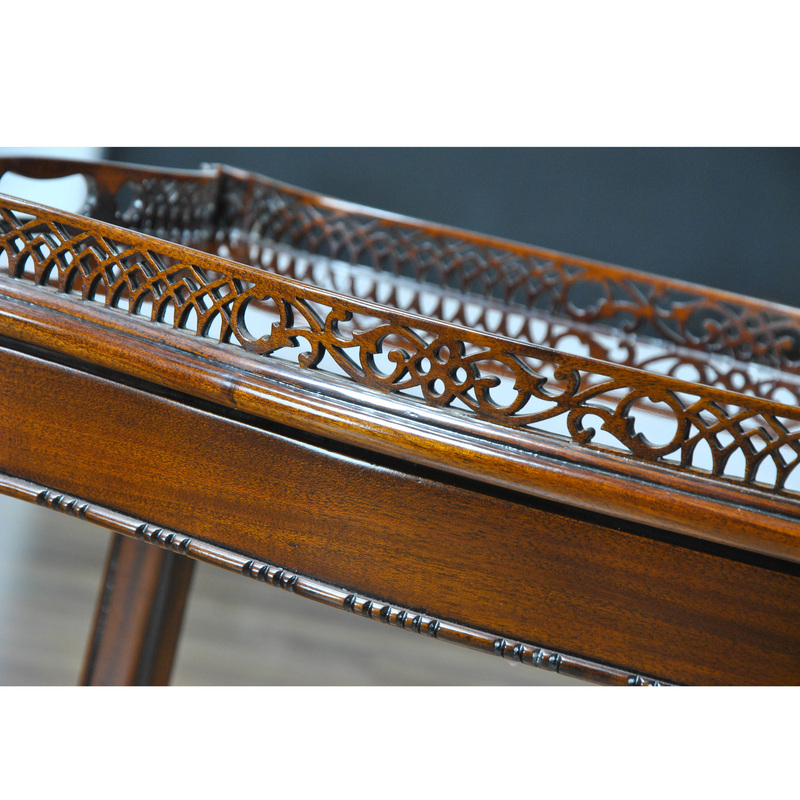 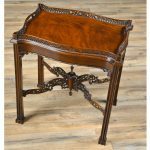 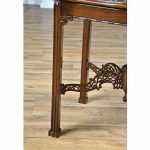 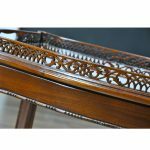 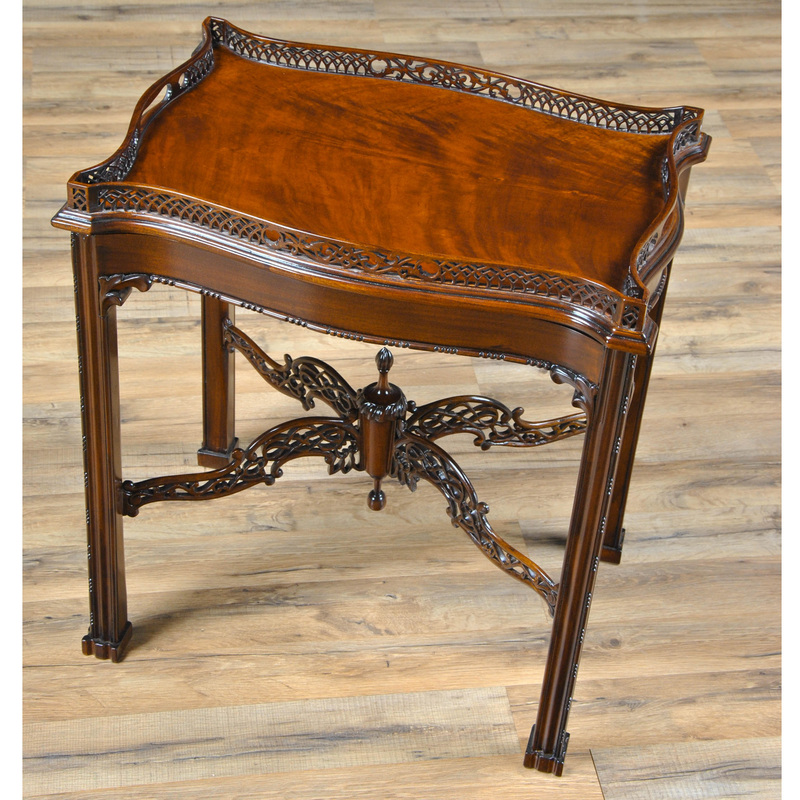 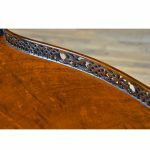 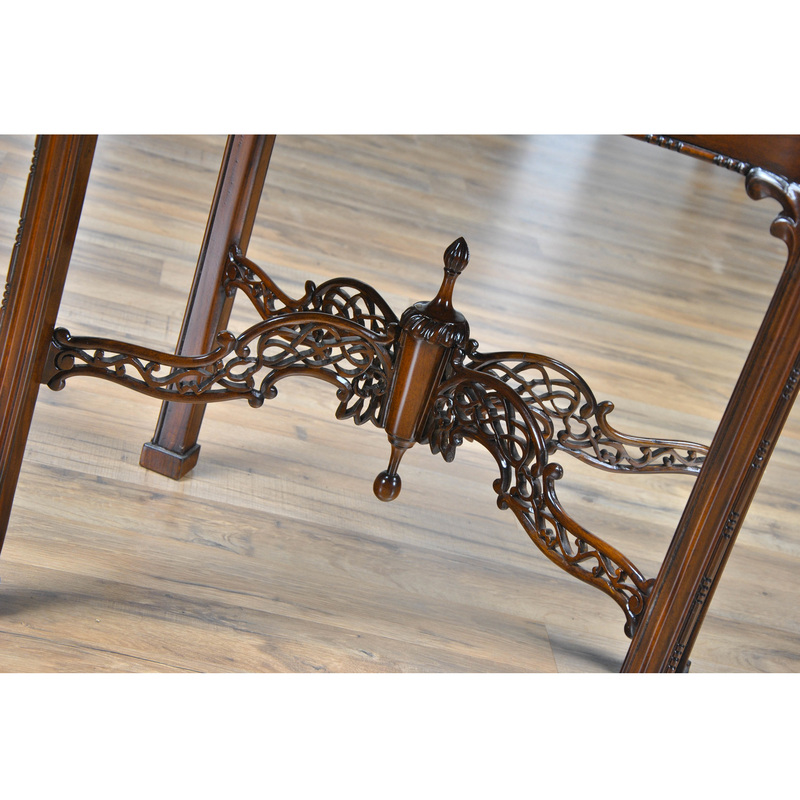 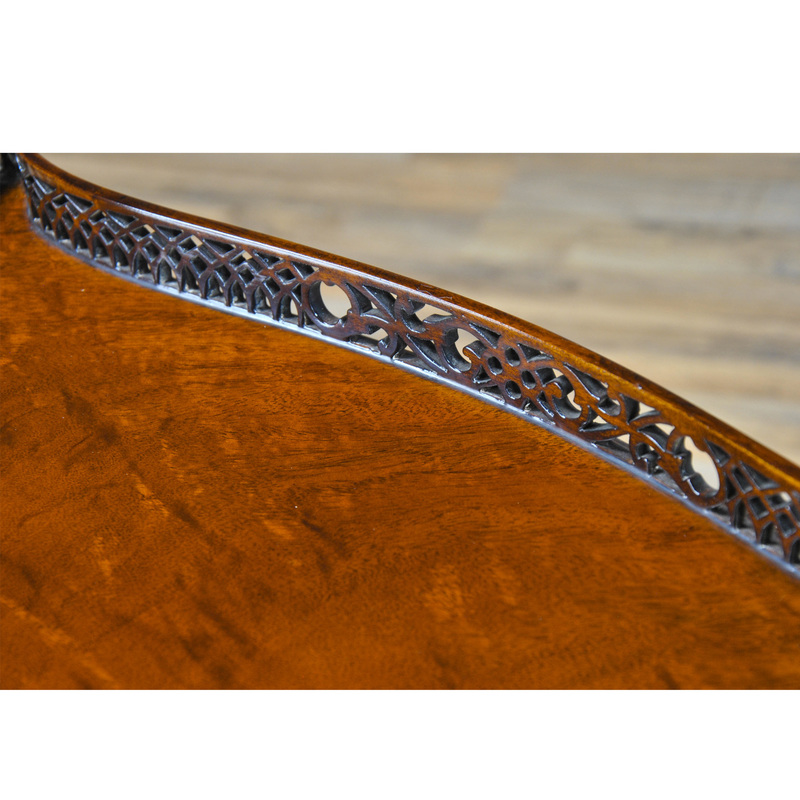 Our reproduction Tray Top Table can be had for a small fraction of the price of an antique tray top table and still features all of the same hand cut and finished pierced work throughout, all done in solid mahogany. 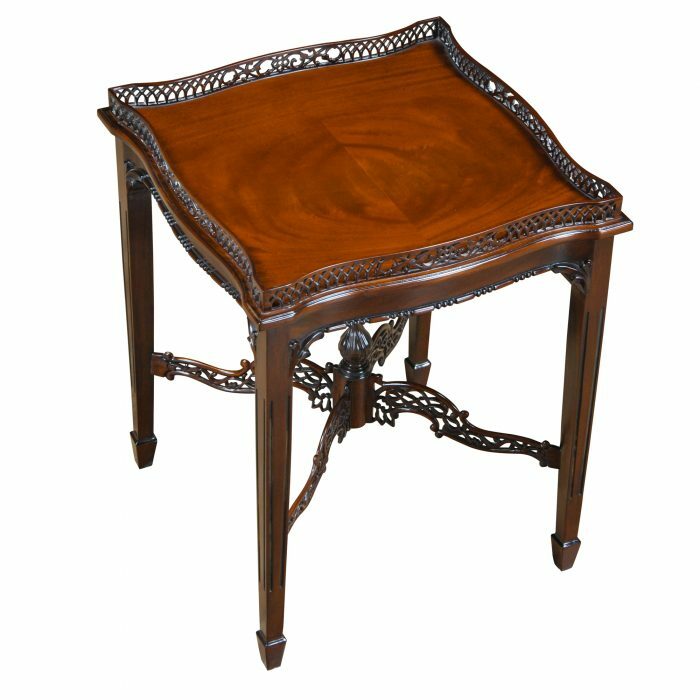 The serpentine shaped detachable tray is a work of art in itself.